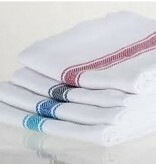 The Brooklyn Stripe Towel Set includes 4 towels with a handsome and understated herringbone design, woven from pure, super-soft cotton. 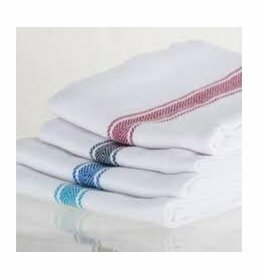 The 18" l x 28" w dishtowels are very absorbent and perfect for all-purpose kitchen use, but work equally well as napkins at the table. Choose from 4 machine washable colors.